There can be real value in getting your tools used instead of new. 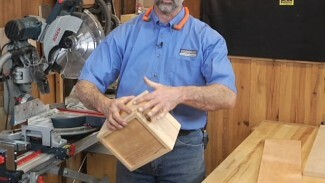 However, used tools can have their “warts.” Every once in a while our readers, and the director of our woodworking videos, run into problems working with these older tools, and come to us with their questions. In this case, the table saw arbor nut on Sam’s older Craftsman table saw was completely frozen in place. The original wrenches distorted badly as he torqued on the nut, refusing to budge it at all. He needed a higher horsepower solution, and we figured that out for him. Have a look at the solution that finally had an impact on the problem with Sam’s table saw arbor nut. One of the most common problems with older tools is rust. A cast iron surface doesn’t have to be rained on to develop rust. Ambient humidity, or a misplaced can of soda, can be enough to get rust forming. Whether you’re using older tools, or want to protect the new tools in your shop, knowing how to clean rust off of them is key. Another problem with older table saws is wear and tear on the arbor itself. 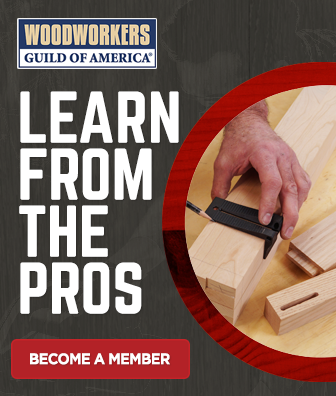 Think of the number of times an arbor nut is put on and off a table saw. 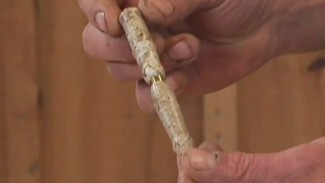 Over time the arbor threads can become worn, preventing you from getting the arbor nut tight. 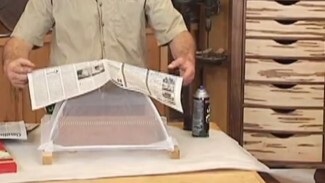 Luckily there’s a pretty easy fix that will allow your table saw arbor to snug up again. i have my grandfather’s 1952 craftsman/sears table saw. my biggest issues are the belt will slip off and the fence does not lock down. if i did not have the belt issue then i would still be using it. Hi Jon. It is hard to troubleshoot these problems remotely, but I’d suggest starting with a new belt. It is possible that the old one is stretched, cracked, and/or glazed, which is causing it to come loose. In terms of the fence problem, it is possible that a cam locking mechanism is worn to the point where it no longer securely engages. If you can’t find replacement parts, it is possible that you might be able to find a new fence that will fit the saw. You will have to determine how much you are willing to invest in time and money into this saw to make it workable. when i got the table saw out of my grandfathers shop i bought a new belt for it. and one day i was cross cutting maple it just flew off the pulley. for my b-day last month i did get a sawstop, but if i did not have the belt issue then i would have loved to continue using that saw. i just did not want to put in more money into that saw to fix the belt issue and the the rip fence. i was a great saw never bogged down when ripping or cross cutting. I doubt if a small impact driver would have worked, I have a Porter Cable 20V that does a great job but if you really have to hammer on it, it will twist off the 1/4 hex drive. You can get adapters that will go to a 1/2 socket drive. I would start by using a penetrating oil on the nut 1st. By far the best I’ve tried is PB blaster available at big box stores or car parts stores. It runs rings around WD 40. Absolutely do not use a torch on a motor because the grease in the bearings can burn up or you can melt the windings out of position and jam the motor. And I found Evapo-rust does a fantastic job on removing rust, particularly if you can soak the part. Soaking the part is not always a viable option and it takes a time. I would recommend putting a light coat of Anti Seize on the arbor threads and inside the nut to make removal in the future a lot easier. Doesn’t matter how long it sits then between blade changes. A little on the shaft wouldn’t hurt either. Do not over due the application because you don’t want centrifugal forces spraying it all over your next project. If you have belt issues I would devise a more positive system of putting tension on the belt. When you come across a frozen nut. I have always tighten it first. There is always room to tighten it. the nut click just a little then you can take it off. It has worked on a number of times. Try it the next time you have nothing to lose. When taking off the arbor nut you had tried two wrenches, I believe these wrenches are for a Craftsman radial arm saw if this is one of the tools you also received. To loosen stuck rusted nuts and bolts on woodworking equipment TopSaver is the Product for you. It Penetrates to the bottom of the surface pores on a microscopic level faster and better than most petroleum penetration oils. TOPSAVER will also break the bond of the rust on contact so a little vibration from a impact driver or tapping on the nut with a wrench will help free the bond. Wouldn’t an air impact ratchet or possibly a long Gear Wrench be better? I also noticed the sockets used were not impact grade that tend to be 6 point and designed for higher torque, those used may have life warranty but use on an impact is an exception to same. You are looking for a accident to happen by not using an impact socket. Chrome sockets shatter very easy when used with a impact wrench. Table saw arbors are usually buried beneath the top, making it impossible to get an impact driver onto it. How did you seat the driver onto the arbor nut? Hi Daniel. It took a couple of ½” U joints (http://amzn.to/2DnVsiD) ,plus extensions, to get the impact wrench in the right position and allow this to work, but we made it happen. Alternatively you could use a box wrench from the top, and slide a pipe over the top of your wrench to serve as an extension. If you extend this out a few feet you will have a ton of leverage, and you should be able to loosen even the most stubborn arbor nut. If it still hadn’t worked, and only as a last resort, you could cut the nut off. I have done this on several other applications where the nut was not salvageable. I prefer my Dremel rotary tool with a fiber cutting wheel. Be sure to wear safety goggles as the wheel can sometimes fly apart (especially if it gets twisted). Cut down parallel to the shaft almost to the threads. At that point you should be able to break the rest of the nut with a wrench. The nut will expand and you can unscrew it. Be sure to clean the threads off with a steel brush before you put on the new nut.